A listening and appreciation program by Lauren Fairbairn and Rob Fairbairn. 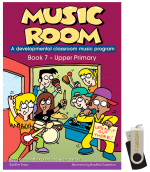 Suitable for students in upper primary. 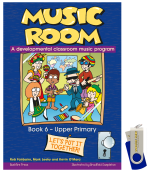 Suitable for students in upper primary. 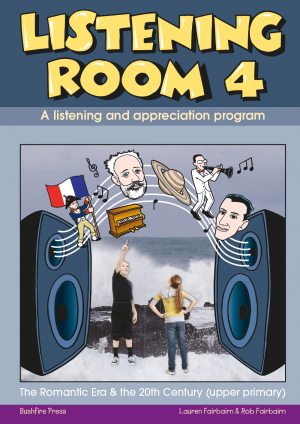 The final part of this stunning listening and appreciation program. Discover a world of music through your ears! 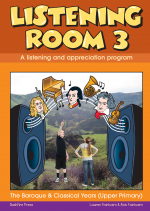 This fantastic resource includes 10 lessons in listening and appreciation for upper primary. 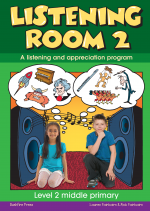 It includes lesson plans, audio, charts, guided imagery, videos and outcomes tracking resources. Let the Robot Dvorak from the planet Sibelius take you on a Magical History Tour through the marvellous moods and musical stories of the Romantic period with Brahms, Chopin, Grieg, Mendelssohn, Offenbach, Schumann, Smetana, Strauss, Tchaikovsky and Wagner. Continue the journey through the dramatic changes of 20th Century music, brought in by Debussy, Holst and Gershwin.